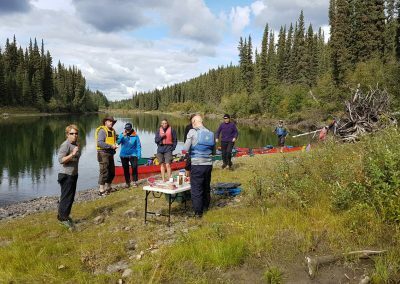 The Nisutlin River is located in the south of the Yukon and flows in a southerly direction as opposed to the other rivers. For this reason, it was never associated with the big gold rush to the Klondike goldfields. This little river offers a great and extensive landscape and excellent fishing possibilities. In May and June we will see on the islands Moose cows with their newborn calves. 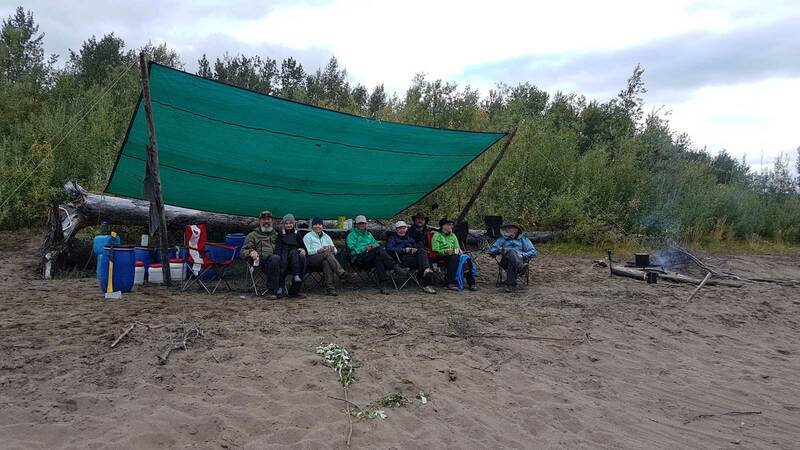 Past the Pelly Mountains, we reach Nisutlin Bay, which extends into the Teslin Lake, the mouth of the Nisutlin River. 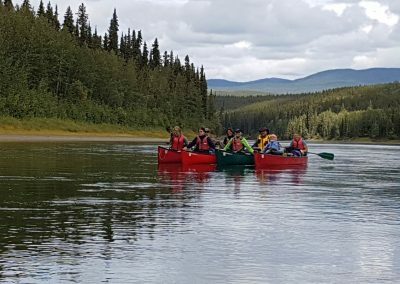 This protected “National Wildlife Area” is known for its variety of waterbirds and a very nice area to end our canoe trip with great impressions. Your guide will greet you at the Whitehorse Airport and transfer you to your hotel. After the check-in we will meet for a tour briefing and discuss your trip details and answer all of your questions. 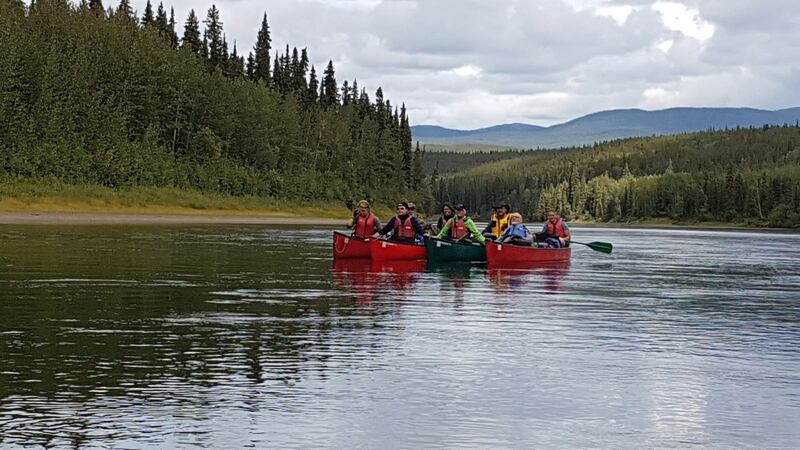 We pick you up at the hotel and begin our adventure with a drive on the Alaska Highway. 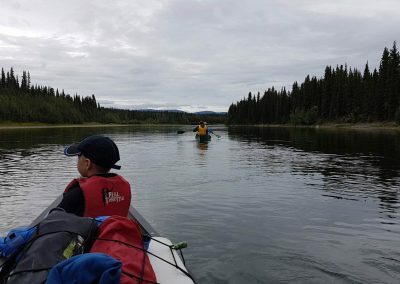 Passing Marsh Lake, the origin of the mighty Yukon River, and over the scenic South Canol Road we reach our entry point of our 5-day canoe trip, at the Rose River Bridge. 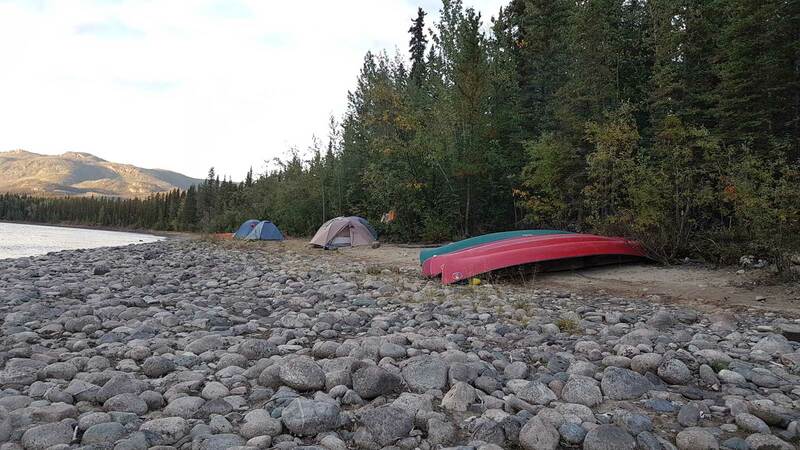 Depending on the time, we start our canoe trip with a short stage or we will setup our camp here for the first night. 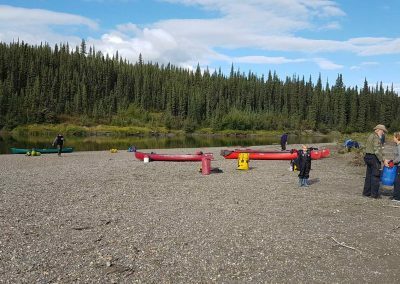 After breakfast, we will load our equipment into the canoes and start our canoe trip. 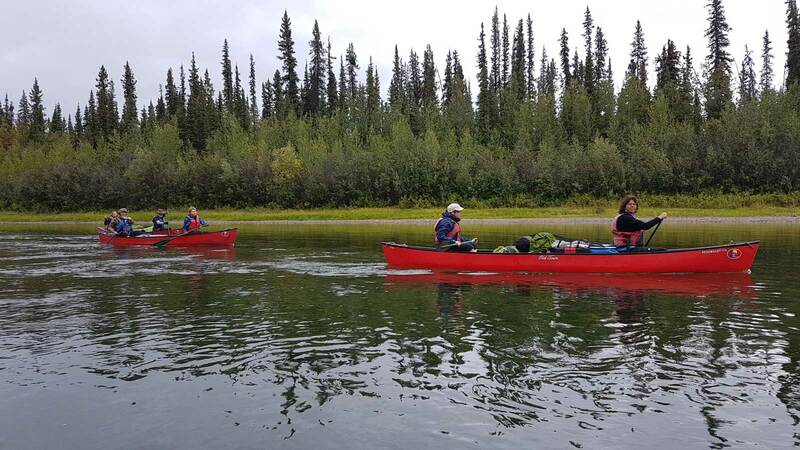 First we paddle about 8 km on the Rose River before it empties into the Nisutlin River. 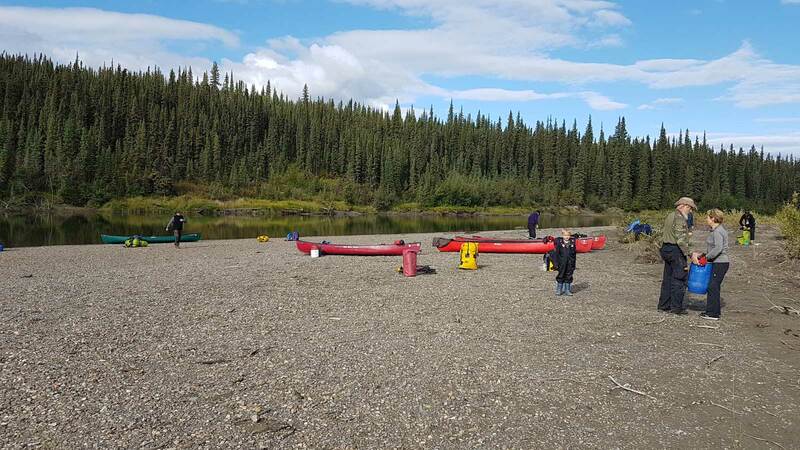 At the beginning the Nisutlin is still flat and occasionally we slide with our canoe over one of the gravel bars. Slowly the river winds past the Pelly Mountains towards Teslin Lake. 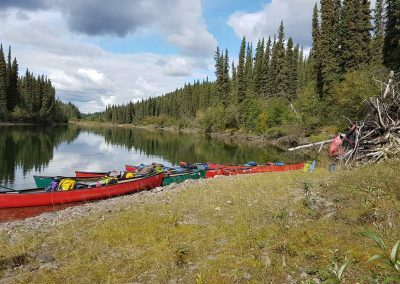 A few faster sections await us on this trip, which can also be mastered by inexperienced paddlers. 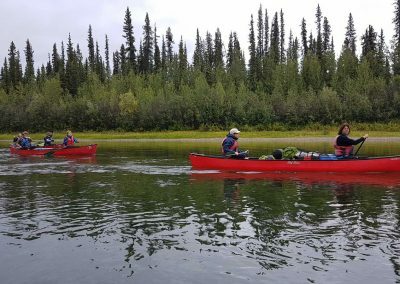 During the canoe trip, we repeatedly encounter old cabins and fishcamps of the Teslin Tlingit First Nations. 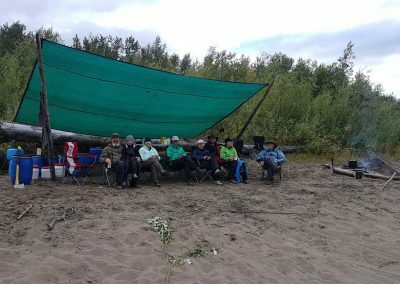 The Nisutlin River is an excellent fishing area and anglers will get their money’s worth. 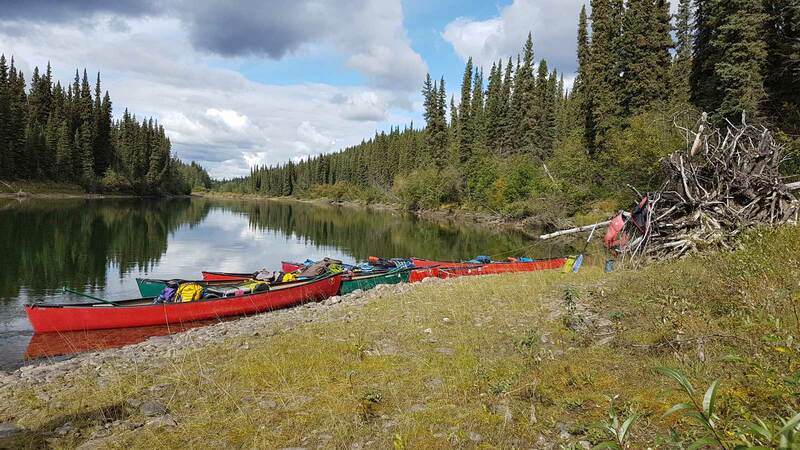 After a few days the river empties into the Nisutlin Bay, which extends into the Teslin Lake. This unique National Wildlife Area is known for its variety of water birds and offers us the possibility to observe some species at close range. 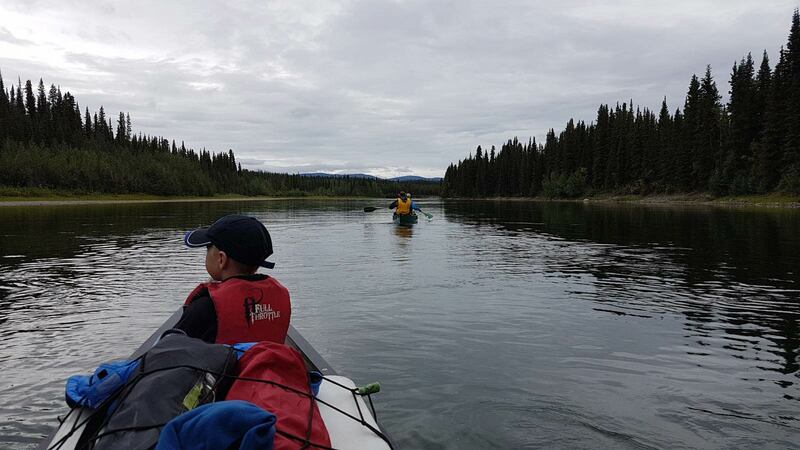 In the distance we already see the highway bridge of Teslin Village, the end point of our canoe trip. There we are already expected by our driver. 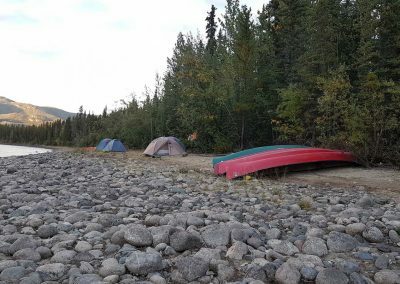 After loading the boats on the trailer we will drive over the Alaska Highway back to Whitehorse. Arriving in Whitehorse we check in for the last night in our hotel. 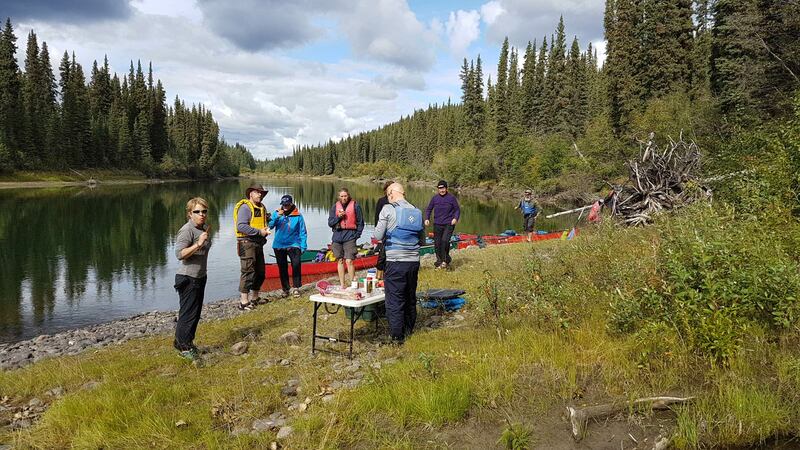 Transfer from your hotel to the Whitehorse Airport and say “good bye” or take part in one of our other adventures.